88 keys and nothin’ on… except dust, dirt & decay. 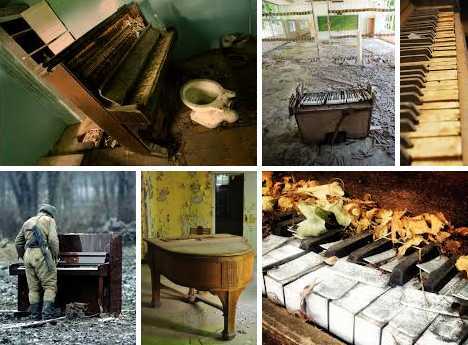 These 12 abandoned pianos may irk music lovers but cheer those who live life slightly out of tune. 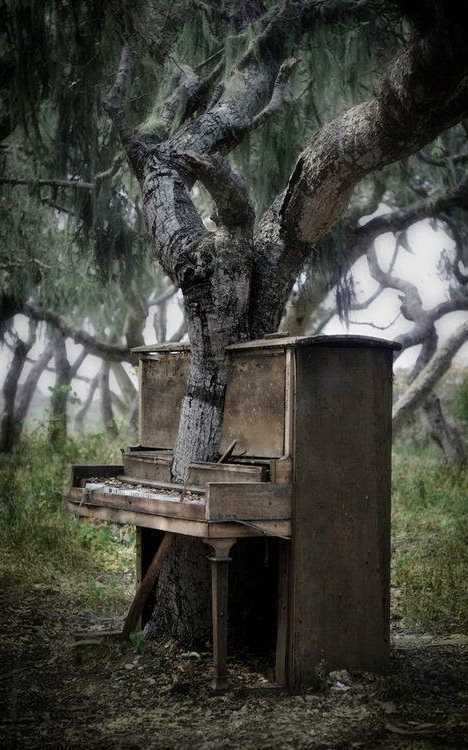 (image via: WeirdWood) Artist Jeff Mifflin’s Piano Tree was a so-called “living installation” set in a forested area just off the Disc Golf Course at California State University in Monterey Bay. Mifflin took an old stage piano and after some judicious sawing, made it appear an ancient tree was growing out of the old upright’s heart. The tree continued to grow even after it was unnaturally mated, however, and would be evolving today if a drunken music-hater had not taken his frustrations out on the artwork. 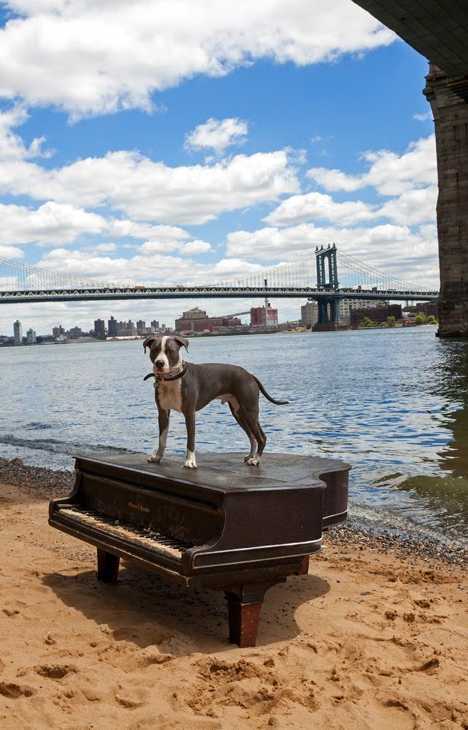 (images via: Zariat) “I encountered an abandoned piano yesterday,” states blogger and photographer Zariat, and “I was charmed by the elegance it maintained while slowly decaying beneath the fallen leaves.” That’s the thing about abandoned pianos: while definitely fish out of water, they seem to maintain a certain degree of dignity regardless of how pitiable and perilous their situation. 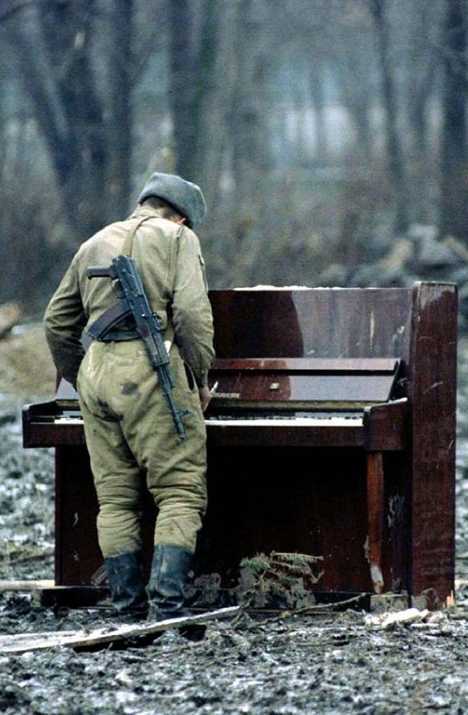 (image via: Reddit/red321red321/Imgur) Why was this Russian soldier playing an abandoned piano? Because it was there! And by “there” we mean Chechnya, sometime in 1994 shortly after the advent of the First Chechen War. It’s not known if the piano was ticking when the soldier began tickling the ivories, nor if the instrument was rigged to explode should the player hit a bum note.